New Milford High School’s digital journalism class, which operates The Lance, the school’s online news source, is proud to announce the release of their very own free application. The application is available for Apple and Android operating systems. 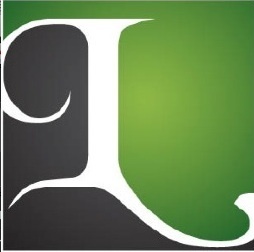 The Lance reports on news in and around New Milford’s community on a weekly basis. The students of digital journalism partnered with Crescerance to develop an app that is easily accessible and touches on the features of the news site that students and residents of the community use the most. The application is an easy way for New Milford residents to keep up-to-date on the mumblings of the heart of the community -- it’s students. Once users download this free app to a smart device, they can peruse the different features easily, with one-touch access to news, photos, the school calendar, The Lance’s blog and the complete athletics schedule. Users can also take a picture with their device that is watermarked with the news source’s logo, which can then be sent to The Lance for publication on the site with credits to the photographer. Additionally, there is easy access to weekly polls, staff biographies, and users can even contact the staff with leads and comments. Perhaps the best feature of the app is the ability for users to add sports events to their calendars from the app, as well as receive push notifications about updates to the site or meeting/event cancellations. This is a revolution in high school news reporting. With readers from as far away as Australia, the staff of The Lance is finding that the application brings them that much closer to their readers and followers, bringing 21st century news reporting to their doorsteps at the touch of a finger. Please feel free to download our app and let us know what you think so that I can share your thoughts with our students. E-learning and Canned Instruction: A Contradiction in Terms? The following is a guest post by Laura DeSena. Not all online education programs are the same. Currently, most conversations on the topic on online education are oversimplified. Complexities must be addressed on this topic for a true critical assessment of online education to actually happen. The first significant distinction that must be considered for the conversation about online learning to be valid is that between synchronous and asynchronous instruction. In synchronous or live online instruction, students and teachers log on together in the virtual classroom. This is pure -- unfiltered by reflection -- interaction and in this live setting the social element of learning is not compromised. The exceptional moment occurs in meaningful inspiration and encouragement in the timber and inflection of a voice, in the subtleties of harmony of thought process in synchronous time and the authentic epiphany. The teacher cannot be factored out of the equation of learning. Teaching in the moment is quite different from the packaged/canned asynchronous learning environment -- particularly in terms of critical discourse. Canned/pre-packaged curriculum with asynchronous online education does not embrace reflection in the way that Web 2.0 tools – like collaborative sites such as discussion boards and online presentation tools – do and curation sites -- like Pinterest -- do. 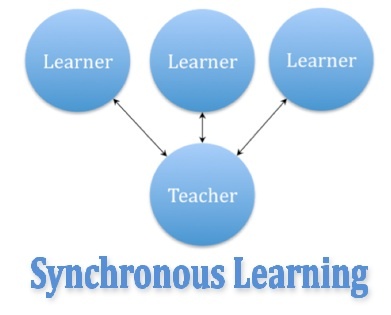 Synchronous fosters expression and non- pre-packaged asynchronous encourages reflection – both elements of the learning process are necessary ones. . Oversimplification of the definition of online learning is not helpful to anyone and it seems that online learning has a negative connotation that it does not deserve. Laura DeSena is a Teacher of English at West Milford High School (NJ). 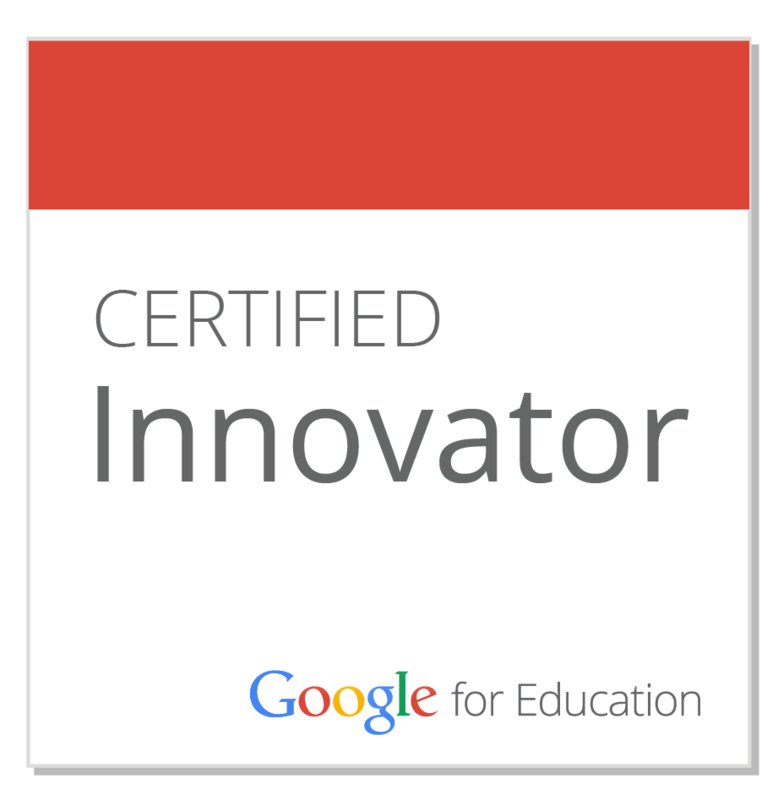 She is also the Founder of Innovations in Online Education, Inc. You can check out her blog HERE. The following is a guest post by Westfield Public Schools Assistant Superintendent Paul Pineiro. The fact is they can, but culturally, we may be dissuading them from doing so. Consider that even for those female students who do pursue college studies in science, technology, engineering and math (STEM) they are more likely to change majors than their male counterparts, despite relative success. "Women drop out of engineering programs with higher average grades than the men who stay in engineering programs," reported CEO of the Society of Women Engineers, Betty Shanahan, at last summer at U.S. News STEM Summit 2012. And of the women who do earn STEM degrees, the U.S Department of Commerce, Economics and Statistics Administration shows their typical career paths diverge substantially from men. “About 40 percent of men with STEM college degrees work in STEM jobs, whereas only 26 percent of women with STEM degrees work in STEM jobs” (August 2011). For this reason there is an all-call out to U.S. industry and educators at all levels to undo the stereotypes that could be costing the country some of its best and brightest future innovators. Young STEM-inclined females need role models, and to this end, “Introduce a Girl to Engineering Day” was established in 2009 to promote their connection with accomplished women in the STEM fields. Elizabeth H. Blackburn and Carol W. Greider, Co-winners of the Nobel Prize in Physiology and Medicine, 2009 "for the discovery of how chromosomes are protected by telomeres and the enzyme telomerase"
If that was not enough here is a list to 100 more. 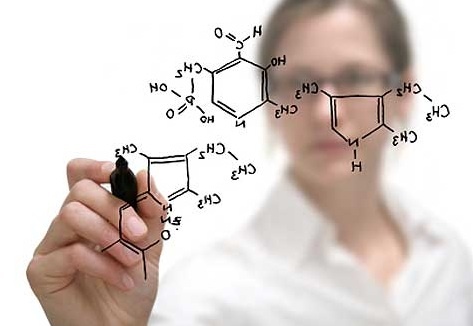 Hopkins, Katy, “How to Encourage Women to Consider STEM Majors,” U.S. World News and Report. Sheehy, Kelsey, “STEM Disconnect Leaves Women, Minorities Behind;” U.S. World News and Report. Paul Pineiro is the Assistant Superintendent for Curriculum and Instruction in Westfield Public Schools (Union County, NJ) and a “Generation STEM” enthusiast. You can follow Paul on Twitter at @paulpineiro. 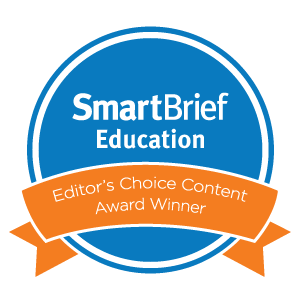 It's no secret that educators are always on the lookout for cool new methods to help engage their students and save time. A new trend has emerged as teachers have discovered fun and creative ways to incorporate free online tools to accomplish both of those goals, and the value of such assignments is only becoming more apparent. Recently, a new service has grown in popularity in schools, which gives students the ability to quickly and easily create posts very similar to blogs, but without any of the complexity or fuss of specialized training. It's called Tackk, and both students and teachers are loving it. With Tackk, students can produce slick, professional looking reports on any subject in literally a matter of minutes, allowing them to focus on learning the content rather than worrying about the form in which it's presented. Without having to create an account, students have access to easy, professional-quality text, image, and video integration, which makes for a much richer online experience than was previously possible with this little headache. Teachers have used Tackk to both supplement, and in some cases replace, more traditional projects like posters and folders. In addition to being quick, user-friendly, and elegant, it can also serve as a valuable introduction to web-based publishing for students of all ages. Some teachers have assigned projects on musicians, others on states, and others still on career aspirations. 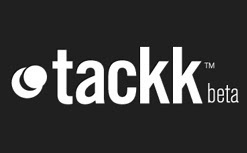 How would you use Tackk in your classroom? I know I have said this before, but I really love my job. I love my job mainly because of the students and staff that I am blessed to work side by side with each day at New Milford High School. This morning Doreen Zacher, my Student Assistance Counselor (S.A.C.) demanded that I stop what I was doing to listen to an example of how great our students are. Her story moved me so much that I demanded in turn that she write it up for me so that I could share this wonderful example of character embodied by our students. In education we work so hard to teach our students important life lessons that focus on the respect and caring for others. Based on the summary below it looks like our commitment to creating and supporting such a culture is paying off. I hope you all enjoy this guest post by Doreen as much as I did. It seems in our society that Valentine’s Day has turned into a manufactured holiday. If one does not receive roses, a present or a card they may think they are not loved. Today, I was able to experience the true meaning of unconditional love by strangers. A young middle school student was very upset because she felt as if none of her friends would recognize her and offer her a Valentine’s card. Her emotions were so intense that her tears ran freely from her eyes. When I received notification of this, I realized the true meaning of Valentines Day. I purchased a card and asked high school students to sign it for the young girl who felt alone today. Within minutes I had multiple signatures and well wishes on this card. Even though they were strangers to this young girl, they felt a connection. Everyone, one time in their life has felt alone. Before I knew it, the New Milford High School students made a care package for her full of cookies, candy and snacks. They went the extra mile just to offer their support to this young girl that they never met or even knew. When the package was dropped off at her school, she read the card and saw all of the goodies, her face lit up like a Christmas Tree. She felt the support and love from strangers, but from this day forward the high school students will be her support. 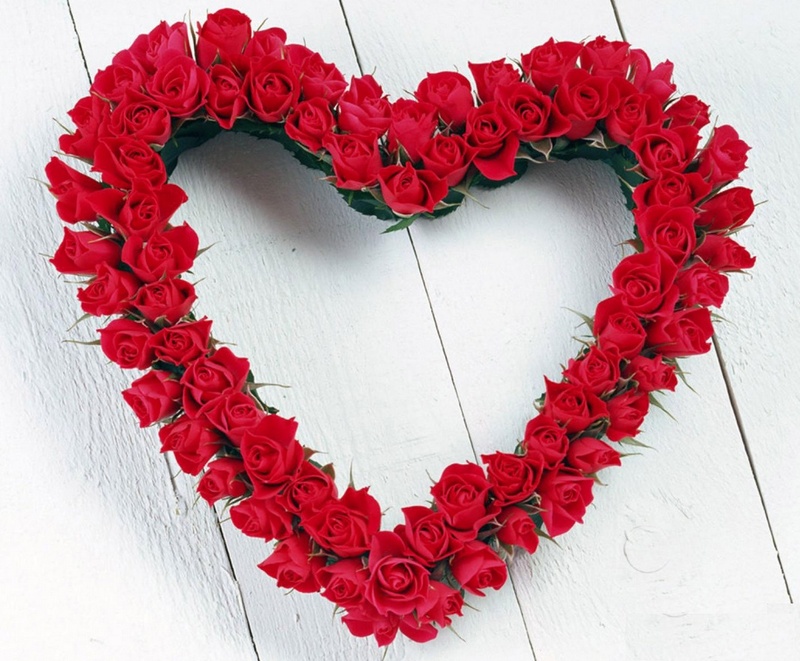 As a result of this experience, I have learned the true meaning of Valentine’s Day, treat others with the love and respect and you can change the life of a stranger. This past Wednesday (February 6) was the second annual Digital Learning Day. New Milford High School joined thousands of other schools and educators across the country to showcase how digital learning is changing education. The only thing though is that this day was just like any other typical day at my school as digital learning has become an embedded component of our school's culture. For years we have embraced the effective integration of technology to enhance the teaching and learning process. In Mrs. Collentine’s Humanities class, students worked in the computer lab on researching the history of drama and theater in the culture of their own heritage. They then had to create a Prezi, PowerPoint or Google Doc presentation to be shared at a later time on what they found/learned to the class. In Mrs. Paulus’s Senior English Survey class, students worked in the computer lab to conduct research on a travel destination of choice in the U.S. They then selected an automobile based on gas mileage and comfort level for distance. Students calculated travel expenses, such as hotels, gas, attractions, etc. and planned the trip from start to finish having 6000 dollars to spend for 12 days. For a final project, each student had to create brochures and posters using technology tools to accompany a written paper detailing their trip. One of the biggest fears among students in an inquiry based setting is that they don't feel ready for the discovery task. They also feel that the teacher is too smart and just because she solved a problem easily on the board doesn't mean they will be able to do the same. Ms. Chowdhury’s plan in Physics was for students to use their iPads/tablets and create screen casts of them solving a dynamics problem with details of every step. The students then kept the screen cast as live notes to use on any homework assignment or before a test. The advantage of solving the problem on screen cast versus notes is that it records their voice so they can hear the reasoning behind doing a step the way it was done. She also plans to use these screen casts next year to show students that other students, just like them, had solved the same problems before and find comfort in knowing that nothing is being demanded of them that is beyond their ability. Mrs. Groff’s, Mrs. Aufiero’s, and Mrs. Montecuollo’s collaborative English classes wrapped up a WebQuest in the computer lab. The students looked at various websites that deal with modern day injustices and evaluated the resources. They then researched a particular injustice and found/evaluated at least 2 reliable sources about that injustice. This information will be turned into a research project at the end of the period. Mrs. Groff’s Digital Journalism class researched and wrote stories, as per any other normal day in class. Her other English classes took a virtual tour of the Globe Theater and learned stage directions for the Shakespearean historical play, Julius Caesar. Ms. Millan’s Sociology students learned how to use and create their own blog using Blogger from their Gmail accounts. She discussed the purposes and goals of blogging and allowed students to create their own blog based on a guided question from her site. The Blog topics were additional topics of conversation relevant to their chapters of study such as socialization, deviance and crime; love, marriage and the family. Mr. Fiscina’s Honors Geometry students were instructed Tuesday in class that their homework was to log onto Edmodo and watch a lesson about Area of Regular Polygons. He used an app on his iPad called Educreations to create the lesson. Students came into class on Digital Learning Day and were given an assignment that needed to be completed. Students who understood the lesson got started right away. Students that needed help were able to ask questions and get assistance from Mr. Fiscina. The class was then sectioned off for students in 3 categories (understood the lesson, only a few questions, and need a lot of help). This way Mr. Fiscina was able to spend the most time with the students that needed a great deal of help and less time with the students who understood the lesson. Challenge problems were given for students who mastered the material quickly. All work was collected and checked for understanding and conceptual mastery. He also had students use Poll Everywhere to check for understanding in the beginning of the lesson. Since the “flipped” approach to instruction is proving to be a key asset in modern education, one of Mrs. Chellani’s recent initiatives has been to provide students with a means to learn independently utilizing digital content. 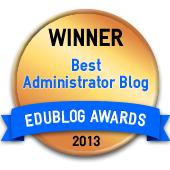 Starting in December 2011, she began using Edmodo, an online platform that enables innovative and social learning, as a way to share online videos and content on the relevant topic for her students to view and assign online polls for her students to complete in order to foster discussion on the topic the next day. Although enabling the “flipped” approach to instruction using Edmodo has transformed the way material is taught and comprehended by students, it has been difficult to find resources that combine curriculum delivery, real-world examples, and assessments in a cohesive manner. As a result, she has started to create her own online learning modules, using the software Adobe Captivate. On Digital Learning Day, Mrs. Chellani introduced her website to her students and demonstrated how these interactive videos will be utilized for future instruction. For Ms. Ginter’s Physical and Environmental Science Resource Class, the students investigated concepts regarding earthquakes and tsunamis, then related them to Newton's Laws. On the computers, they explored the different activities with a partner and completed concept maps to go along with them, using question prompts along the way. For her Biology class, the students worked with partners using the computers in class and their mobile learning to conduct an investigation to identify who first coined the term 'cells' and what aided this discovery. They then identified the characteristics of and differences between eukaryotic and prokaryotic cells and completed a Venn diagram. There was an assignment up on Edmodo for them to respond to regarding cell theory for homework. 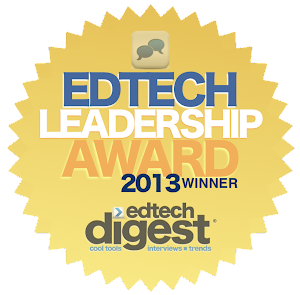 So what did you do on Digital Learning Day 2013? Content selection. In past years, NASSP attempted to cover a broad spectrum of issues that principals face during their professional lives. One of their chief metrics of success, in fact, was the diversity and sheer volume of sessions that were available to members. This year, they have decided to rely instead on what NASSP members have reported as the issues that keep principals up at night, such as Common Core implementation, new teacher evaluation models, and dropout prevention and graduation rates. With those topics in mind, they reached out to presenters who they knew could address those issues with authority and facilitate meaningful discussions about them. The result is that attendees will return home with action plans of interconnected ideas, rather than the scattered array of stand-alone ideas and initiatives that typify some conferences. Use of time. Sessions that last 75–90 minutes have been characteristic of content delivery for many years. So imagine their surprise to discover that a lot of effective learning can take place in shorter blocks of time. While they still rely on full-length sessions to anchor key topics during the conference, attendees will see far fewer of them. Time will be repurposed in the Connected Learning Center, where attendees will engage in short demonstrations of new technology tools, participate in mini-sessions designed to further specific concepts, and engage in discussion with speakers and fellow attendees. NASSP's plan is to limit the barrage of content and instead go deeper. There will still be plenty of content, but they also want to give attendees what they have so little of during their professional day: time to think about what they’re learning. We all know the importance of reflection, but it’s the first thing that gets lost while we navigate the seas of urgency in our schools. While attendees are at Ignite 2013, they will get to reclaim that time and make the most of it. Encourage interaction between colleagues who are facing similar challenges in their schools. Provide dedicated spaces for informal conversations. Feature chat sessions combined with some basic social media training. Speaking of social media and technology, the conference will allow for constant connectivity with free Wi-Fi in all meeting rooms and public spaces, a powerful conference mobile app, and charging stations for devices. NASSP has listened to our suggestions and all these changes reflect how members prefer to learn. The robustness of the professional conversations at past conferences speaks volumes. Every conference gathers a massive untapped reserve of knowledge and experience —the attendees themselves. NASSP's collective task for the few days we are at the conference is to release that knowledge and encourage it to flow freely among all in attendance. The new conference format issues a challenge to all of us. 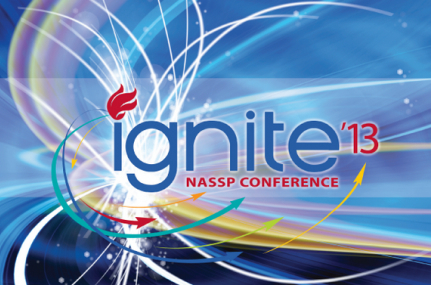 The success of Ignite 2013 relies on your active participation. The old “sit ’n’ git” format wasn’t built for engagement: Ignite 2013 is. I will be there and look forward to connecting with and learning from some of the many leaders that consistently push my thinking and provide me with the inspiration to do what I do better.